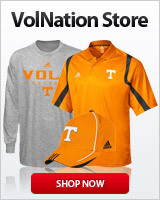 I'm just curious to see what Volnation is thinking as we set to watch how the final four plays out. Who is trying to get behind Auburn/SEC/Bruce Pearl? Are you still upset that he ruined his chances here? Do you care at all? Who would you like to win it all if you do care? Im just curious about the federal investigation. Also I'm pulling for Bruce to win the UCLA job as apperantly Barnes has no idea how to beat him. I will pull for Bruce but I think they go down without their star player. When it starts raining 3's anything can happen if they fall. Nah. I’d much rather see Tony Bennett win it than Bruce. Basketball season ended one week ago. I’d rather see Tony Bennett or Chris Beard win it. I’m not a Pearl a$$ kisser. Loved the excitement Pearl brought here and hated that he got himself into trouble bad enough he couldn't stay. His style of play is exciting because they can go from down 10 to up 6 in just a few minutes. I wish him well and hope they win it all. No, I don't like Auburn. I liked Bruce when he was here. But I don't cheer for Auburn. I am not some dumb hillbilly who thinks Auburn winning makes us "look good" in any way. I will be happy for Bruce one hand and extending my middle finger at Auburn with the other. It's Auburn....why pull for another SEC team to win anything? My take.. Yes I'm rooting for Auburn. One reason is the ACC bias for the seeding of the tournament. DUKE, UNC and VIRGINIA.. all one seeds. I would argue that this season's SEC lineup was just as good and competitive as all those. Even put Gonzaga in that mix. I would love to see Auburn win just to shut up some of the so called "blue bloods" of basketball... that means you too, Kentucky. Pearl is a giant killer and he killed us too. Hate Auburn but still like Bruce so yeah, I'd like to see him win out the 4 remaining. Pearl against Izzo again is just a little too haunting for my taste. Yep. I wish he was still here. I think we would have at least gotten a conference title or 2. Nope, if it can't be the Vols, go Hoos! Wahoowa! F*** Auburn. But I wouldn't mind seeing BP win it. I think I'd rather have TT win it, but I'd probably pick Auburn 2nd. I'll never pull for MSU. I don't like UVA at all.